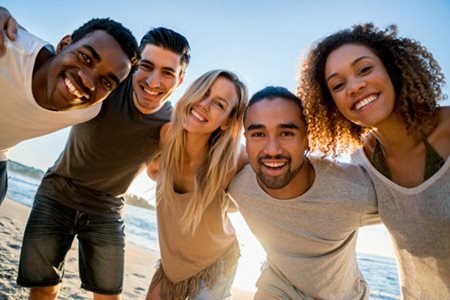 However you measure it, that’s the average length of an off-site meeting in North America, according to the 2018 Global Meeting & Events Forecast conducted by American Express. Meeting time frames are getting squeezed, and that puts significant pressure on event planners. In today’s world, every second counts, even as companies are leaser focused on attendee engagement and ROI. 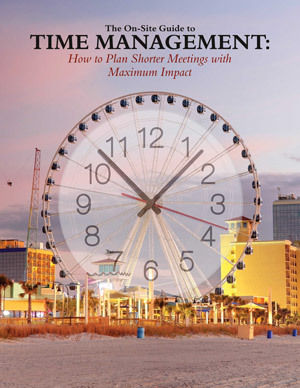 The On-site Guide to TIME MANAGEMENT: How to Plan Shorter Meetings with Maximun impact is brought to you by Myrtle Beach Area Convention and Visitors Bureau. The clock is ticking…Don’t waste any more time!